Please fill out the form below so we know what you're looking for and we'll monitor new listings as they come on the market and alert you when we see properties that match your specific criteria. Just wanted to say a big thank you to you for all your hard work in find us our home and in being so patient and honest. You are a one of a kind Realtor and we were all very impressed with your kindness and willingness to work with us despite how difficult it was to find a house that would work for all of us. We love our new home and would love to have you stop by sometime and say hello. Hope everything is going well for you and to see you some time in the future. We will certainly refer any friends that we hear of that are looking to buy. Take care and thanks again. 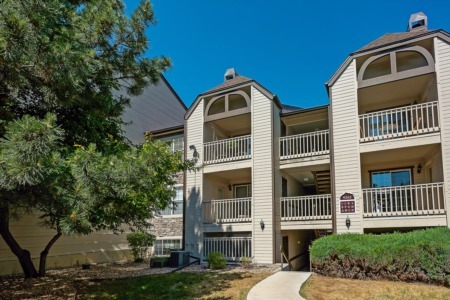 Brian Kinkade provided us with exceptional service in helping us to locate and purchase our condominium in the Wash Park area of Denver. After showing us many properties, he identified one that has proven to be perfect for our needs and price range. The property was bank owned, but the bank was initially unresponsive to our offer. Brian showed amazing perseverance, contacting the bank's representative daily until our offer was finally acknowledged the deal completed. We would certainly recommend him to anyone looking for property in the Denver area. As a licensed REALTOR® in South Florida I can tell you without any hesitation that Brian is absolutely one of the best REALTORS® I have ever had the pleasure of working with. He is not only very knowledgeable about the different areas in Denver and thorough in his research of my potential homes I had interest in but is very patient. As a current client and hopefully soon a past one, I can tell you Brian is someone you definitely would be very comfortable with using to help you find your dream home or listing your home for sale with! We have bought or sold a home 15 times in the last 46 years of our marriage and have never had close to the support and guidance that Brian gave us this this time in selling one condo and buying another. I think what we appreciated most was how hard he worked to increase showings of the place we were selling--with all sorts of tricks beyond what we thought was even possible. He will admit that he is rather attentive to detail. We worried at times that our details were costing him sleep; but, in any event, he kept us from stumbling in the face of the huge challenges of contemporary real estate exchanges. We will look for a chance to recommend Brian to any friend or family member because we'll be doing them a profound favor. If you need an agent that is responsive, patient, detailed, focused, considerate and great at keeping on top of all aspects of your real estate transaction, look no further than Brian. He was a priceless asset to our team that ultimately got our closing done in just 30 days! Brian was everything we were looking for in a real estate professional as we searched for a home in the hot Denver, CO market. Even though we were new to the market, Brian made the home-buying process a breeze. He was extremely knowledgeable of the market and the neighborhoods we were interested in. Brian always made himself available for when we wanted to see homes and was extremely responsive to our questions throughout the process. Brian showed excellent negotiation skills and helped us close on an amazing home at a great value. He was also an incredibly friendly professional and a pleasure to work with. If you are looking for an excellent, friendly and skilled agent, look no further. Brian Kinkade was absolutely amazing when he helped me purchase my new home. He was available, helpful and reliable and made purchasing a home easy! He basically streamlined the entire process. He works with outstanding people. The financing and inspections were excellent and completed in a timely fashion. Brian Kinkade is extremely conscientious. He worked long and hard to help me find the perfect place to buy. I was doing a 1031 Exchange so time was of the essence. I had a very narrow window of time and paperwork had to be perfect. Brian made sure things were done properly. Not only prior to and during the buying process, but also afterward, during this past year has he been very helpful to provide me with info that I have needed to make this long distance rental ownership work. He does his homework, has a great sense of humor, communicates in a timely manner and is great to work with. He is definitely your advocate when he is your REALTOR, making sure you are aware of all pros and cons of a potential property. I give him 5 stars out of 5!